The Cadillac Three: Greta sits down in London with Neil and Kelby to talk Legacy, touring with Brothers Osborne and more. After releasing their newest album, Legacy, The Cadillac Three toured the UK with a fantastic guest, Brothers Osborne. The tour was full of guitars, parties, awesome solos and some hallelujahs. 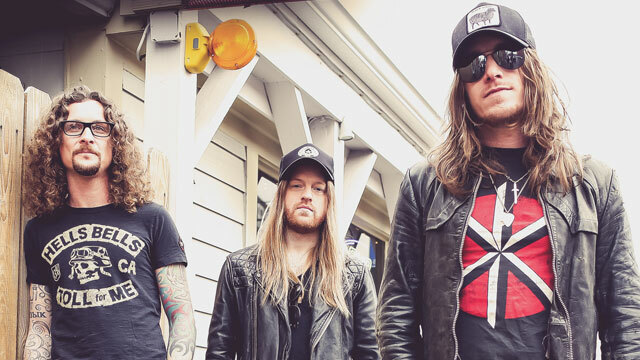 We caught up with Neil and Kelby from The Cadillac Three before their London show to tell us all about touring with their buddies, their love for the UK and their latest album. How is the tour going so far? It’s such a great opportunity for the fans to not only see you but also Brothers Osborne. Neil: Really awesome, crowds have been great. Last night in Nottingham was slammed, we’ve never been there before. Cardiff was awesome. It’s been a couple of years since we played there. And now, we are back in London for like the 12th time! Kelby: Touring with Brothers Osborne is amazing. You know, they’re good buddies of ours and we’ve done festivals together back in the States. We have never done a tour though, so this is a great excuse to be able to do that. They’re obviously a great band and it’s awesome to be able to have them come out and do these shows with us. Both you guys and John and TJ are just crazy talented but I wonder whether there’s anything else on the tour bus apart from guitars and booze? Is it a constant party? Neil: Basically. Last night we took it easy. You know, preparations for London. You just played in Cardiff and Nottingham. You will also play in Norwich. Nashville-based artists don’t usually tour in these places as they are more local, is that an exciting challenge for you? Neil: I don’t think we knew that. Coming here for the first time, everything was new to us. I don’t think we necessarily knew the difference between Manchester and Norwich. It wasn’t until we got to Norwich and we thought, ‘oh, we’re kind of on the other side of the country’. The UK, to us, seems small. We can drive all over the UK in the same distance as we would drive from Nashville to another major city, so for us, it’s not that different. Now that we have been to many of these places, we kind of know where they are and we know that Norwich is a small town compared to Birmingham. Kelby: We’re also trying to branch out from the first tour we did. We played Birmingham and Manchester but now we want to try to play new places. For example, we have never been to Nottingham but that sold out on this tour. Maybe next time we play in the UK we can hit 20 shows and play everywhere! You released a new album not too long ago. I reviewed it and gave it a 10/10. It was just a pleasure to listen to it. How proud of it are you? Neil: Ah, thank you! Yes, we started working on that album the same week we put out the Bury Me In My Boots record. We literally got off the road that week and we already had about seven songs we were excited about recording. I think we felt really liberated getting the Boots album out, so we just went to the studio, the three of us, and started recording with no rules. We were able to do what we wanted and try everything. If it sucked, only we knew about it. If it was great, only we knew about it. I think the freedom in that allowed us to try some stuff musically, like Legacy, a song that’s almost like a folk song, a quieter song. It did not come long after your Bury Me in My Boots album, was it hard to start writing again or were you already in the spirits? Kelby: We do a lot of song writing on the bus at home. We’re on the road all the time so we have a bunch of ideas. We constantly have ideas for another album. We’re always inspired, always writing. 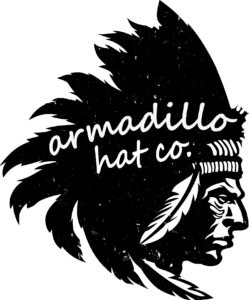 We’re trying to keep the creative flow going. Your shows are just electric. How much do you think about the live shows when recording an album? Kelby: I think one of the reasons we try to get back to the studio so quickly is because we play so many shows. We don’t want to get burnt down on the last thing before we start thinking about the next thing. I think every album is going to be a reaction to how things are working in the live shows from the previous record. We’re in the middle of working on some new stuff for the new album and it’s different to this stuff on this album. Neil: We have studio time later this year so we won’t know until then whether we like these things or not but it kind of ties with the things we do on the tour. Is there a song on the album that you knew right off it would be a massive concert tune? Kelby: That’s always a challenge. We don’t try to go too heavy on the songs (when recording) because it is only the three of us live. We don’t want to put too much on there that we couldn’t duplicate live. I think American Slang, Hank & Jesus but every time you get to play new songs live it’s a breath of fresh air for us and for the fans. You’re touring non-stop and you’re joining Luke Bryan and Kip Moore in the winter in the US. Do you expect a different crowd at these concerts? Neil: That’s how we usually look at it! We just try to win over as many people as we can. Kelby: And that’s Brothers Osborne ending our interview! Midland: We chat to bassist Cameron Daddy about ‘On The Rocks’, signing for Big Machine and lazy journalism. Chris Stapleton – From A Room Vol. 2 Reviewed: The second half of ‘From A Room’ drops and it’s more of the same… in a good way!